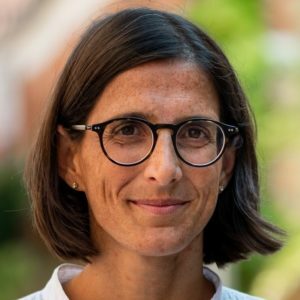 Let me introduce myself, my name is Enrica De Cian, and I have just joined Ca’ Foscari Unversity as Associate professor in environmental economics. After years of experience in interdisciplinary research at FEEM and CMCC I now have the opportunity – thanks to an ERC grant – to coordinate the team of researchers that will make the ENERGYA project a reality. The interdisciplinary nature of ENERGYA requires a heterogeneous team that is able to navigate the interface between economics and science, with a broad range of expertise, ranging from micro-econometrics to climate policy, climate data, and economic modelling. Indeed ENERGYA will integrate data and methods from economics with geography, climate science, climate policy and integrated assessment modelling. Teresa Randazzo has a background in economics and has consolidated expertise in survey data and micro-econometric techniques. Her expertise is needed in order to properly study causal relationships between energy use, climate and weather. Marinella Davide has a background in political science and has a deep knowledge of the climate negotiation processes. Her expertise is needed in order to be always updated on the adaptation policies. Malcolm Mistry has a background in meteorology and has consolidated expertise in the analysis and processing of high resolution data. His expertise is needed in order to process and analyze spatial and meteorological data. Lorenza Campagnolo has a background in economics and she uses Computable General Equilibrium models (CGEs) to tackle sustainable development issues. Our 6 country experts will support the data collection in the four emerging economies that will studied in ENERGYA, and will collaborate with the team in Venice in the cleaning and analysis of data. Collaboration with senior scientists from CMCC and Boston University, as well as with the broader scientific community will provide continuous feedback on the scientific quality as well as the policy relevance of ENERGYA’s results. Can you spot the difference between 1976 and 2018 heatwaves? ← Can you spot the difference between 1976 and 2018 heatwaves?